‘Blue carbon’ refers to the capacity of coastal ecosystems to capture and store carbon, and consequently their importance in regulating global climate change. These ecosystems include mangrove forests, saltmarshes and seagrass beds which are able to sequest and store atmospheric carbon in biomass and sediments, sometimes at rates many times higher than terrestrial ecosystems. 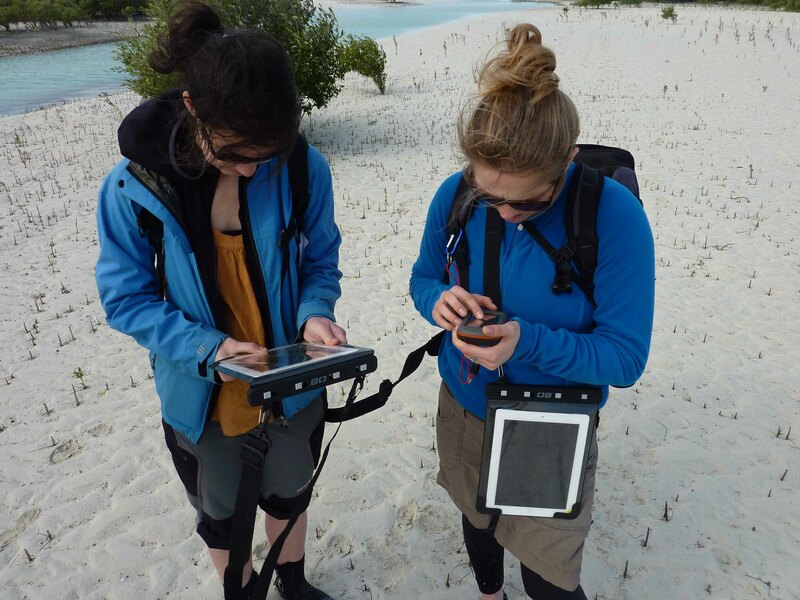 Field surveyors obtaining GPS data and assessing habitat extent using the tablet-based mapping tool. During 2013 we have been part of the AGEDI Abu Dhabi Blue Carbon Demonstration Project, a 12 month project set up to explore the services which blue carbon ecosystems offer to the Emirate. Working first as a consultant to UNEP-World Conservation Monitoring Centre (based in Cambridge, UK) and later for Forest Trends (Washington, USA), Sea-Scope has been at the forefront of developing novel methods for the mapping of mangroves, saltmarshes and seagrass beds and of assessing the ecosystem services they provide. 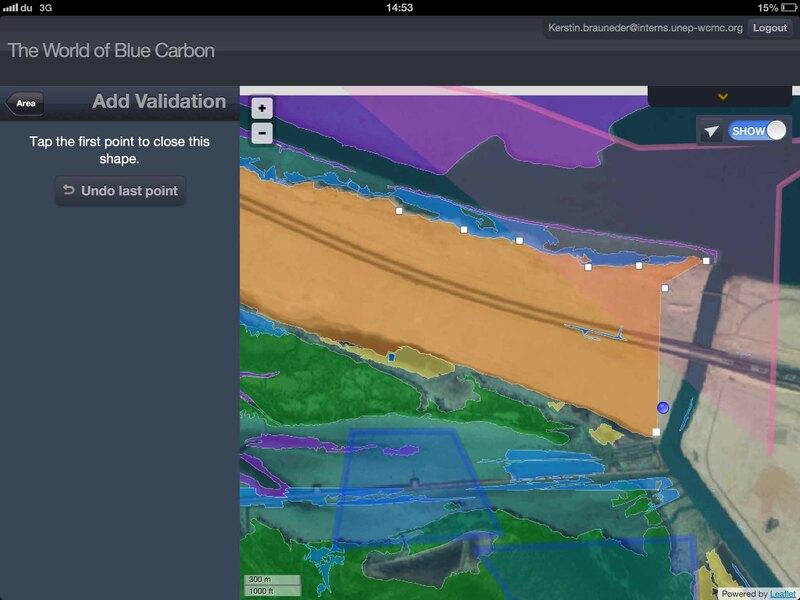 Ground-truthing of habitat mapping layers has been undertaken by using a tool, whose concept and initial design was created by Sea-Scope’s Principal Consultant Robert Irving. It was then further developed by IT staff at UNEP-WCMC in Cambridge for use on a hand-held tablet computer in the field. A webinar of the mapping aspects of this project, and a demonstration of the use of the mapping tool by Tim Wilkinson of UNEP-WCMC, can be seen here. A short video presentation on the whole AGEDI Abu Dhabi Blue Carbon Demonstration Project can be seen here. 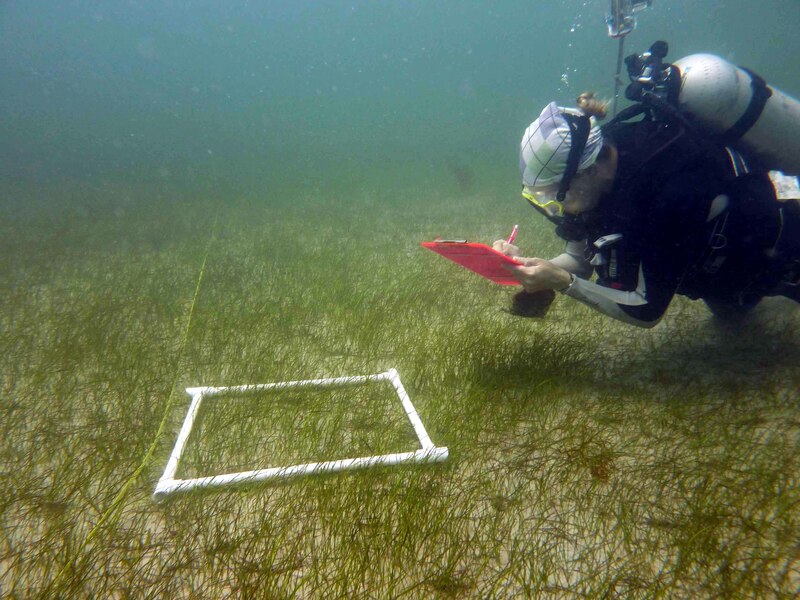 Recording biodiversity within seagrass beds. 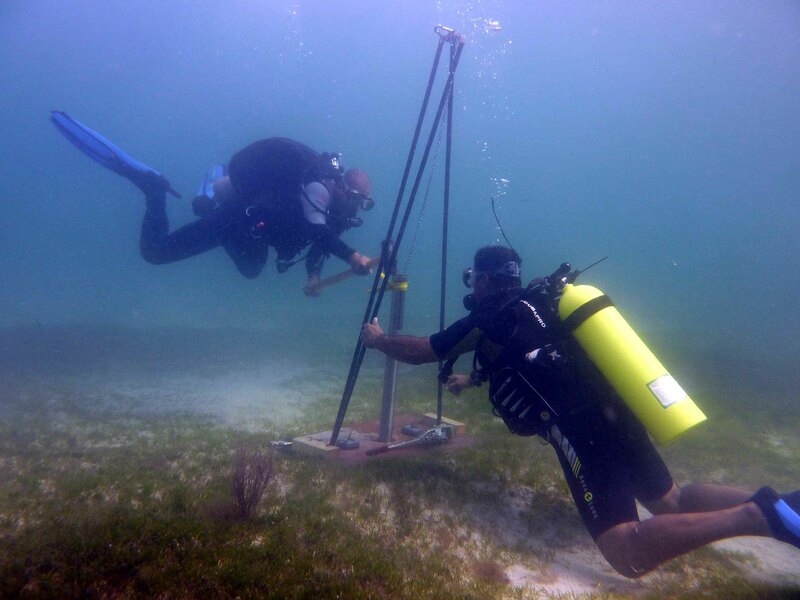 Obtaining a sediment core sample from a seagrass bed.